Smartphones are little powerhouses and tcan accomplish quite a lot—so much so that the multitude of functions which they can offer can sometimes get to be somewhat overwhelming. At the end of the day the good old fashioned calendar was probably a faster and easier way of keeping on top of things. All you had to do was flip to a date and bam! there it was, your whole day planned out. Pure Calendar widget (agenda) sets out to provide you with the same conveniences as a traditional calendar, only on your homescreen, and without having to start up any apps whatsoever. Today’s review lets you know if Pure Calendar widget (agenda) can help make your life a little bit easier. Pure Calendar widget (agenda) is, as its name suggests, a widget for your homescreen which shows you all your appointments and tasks in one fell swoop. You can adapt the widget just as you would a paper calendar, though I’m sorry to say that it can’t do little hearts, scribbles or other obscenities. You are basically given carte blanche and can design the widget any way you please. It’s up to you to find your ideal configurations. It’s worth investing a bit of extra time because the outcome will be a calendar that’s perfectly adapted to your preferences. 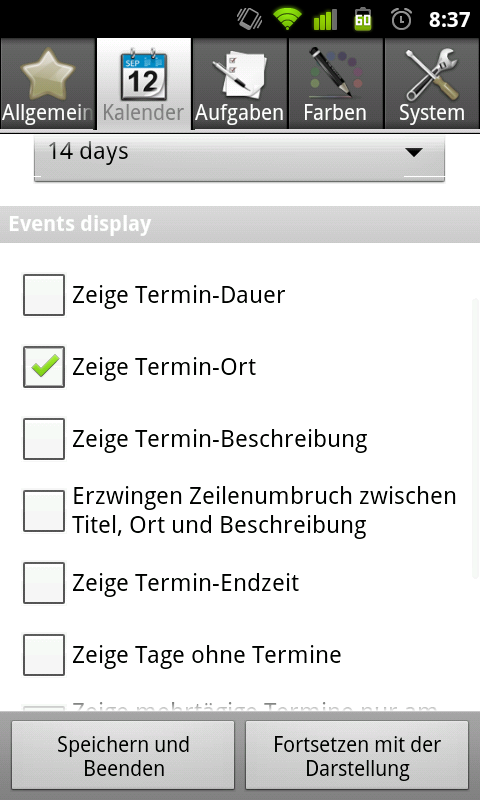 Regarding your to-do list/tasks: provided you have an app such as Astrid, they will also be displayed in the widget. Pure Calendar widget (agenda) accomplishes what it sets out to do really well (with a little help from Google ;). I was pleasantly surprised to see that Pure Calendar widget doesn’t have its own calendar interface (aside from the day-overview one) any longer and can access more or less any calendar app. The developers have made another great change to the app: it’s now possible to invite guests to appointments—super convenient! I’ve been using Pure Calendar widget (agenda) since it first came out and I’m still just as thrilled by how easy it’s helped make keeping on top of things for me. The multitude of settings options and designs really are the icing on the cake. It might be an idea to add an option that lets users alter the basic design… I’m sure some users would get a kick out of that! Pure Calendar widget (agenda) can be found in your app overview, but all that’s shown is a (relevant) tutorial on how to use the widget. The only kink that occasionally arose was a “Problem loading widget” notification—but that was due to my A2SD solution, and as soon I imported saved settings it didn’t come up any longer. 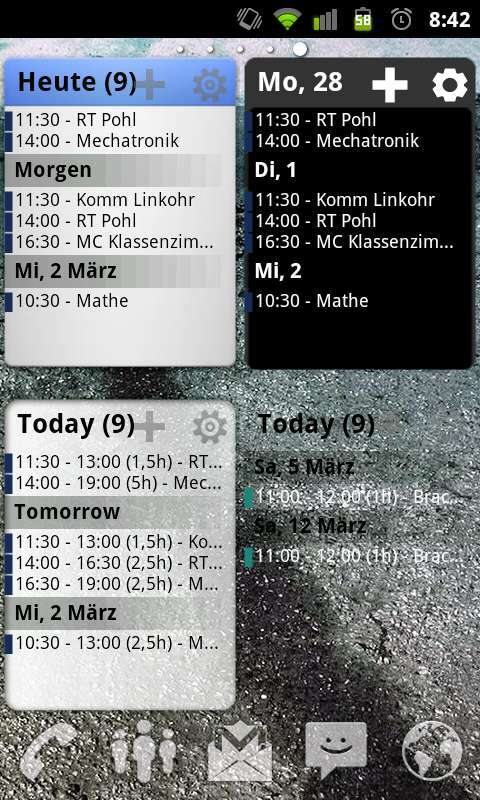 Pure Calendar widget (agenda) costs 1,49€ in the Android Market and 1,77€ in the AndroidPIT App Center and the price is totally justified, especially considering that the developer has a reputation for responding super quickly to emails regarding problems with the app. I didn’t have any problems and so I didn’t have to contact him, but that’s what I’ve heard. That being said, I’m sure there are users out there who will choose to opt for a cheaper or for-free alternative.